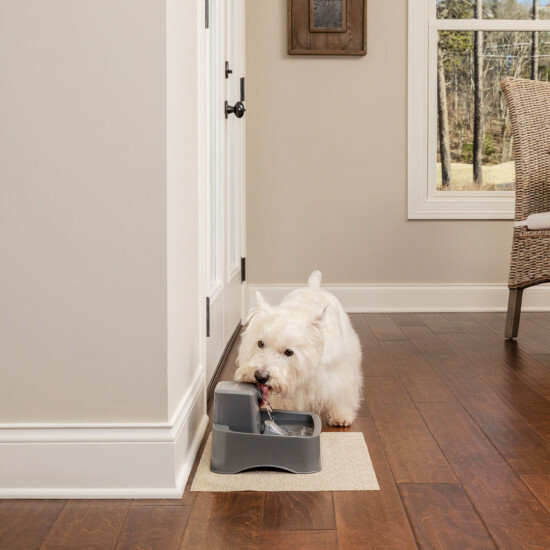 The PetSafe® Drinkwell® ½ Gallon Pet Fountain is designed with you and your pet in mind. 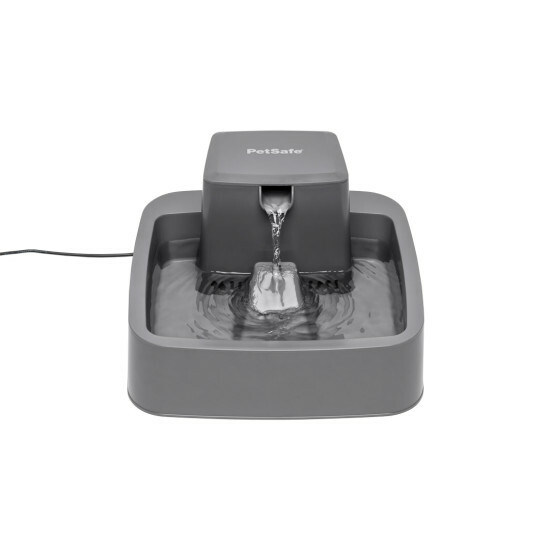 This automatic water bowl features a free-falling water stream with adjustable flow control. Choose from nearly silent circulation on the lowest setting to a tranquil stream on the highest. The flow control allows you to tailor the water flow to your pet’s needs. The large capacity bowl is perfect for small dogs and cats. The square bowl design is large enough for several pets to drink out of at the same time with minimal splashing. When it’s time to refill, simply use a pitcher to fill the bowl to the desired level. 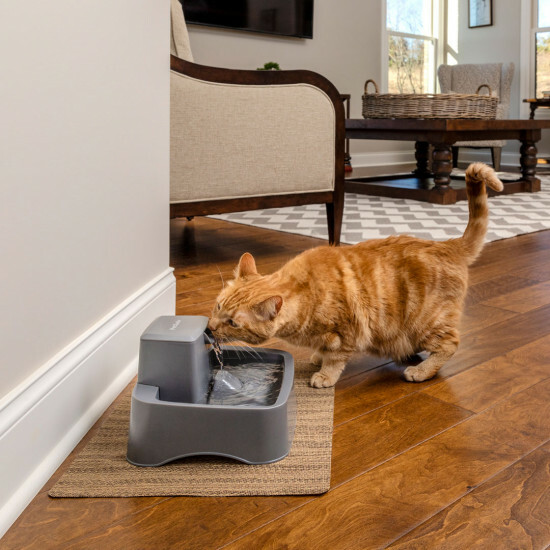 The ½ Gallon Fountain was specifically designed with no hard-to-reach crevices to clean, allowing you to spend more quality time with your pet.